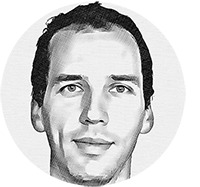 Hi, my name is Marcin and I'm a creator of Farmer Olaf. Why I made this game? I travel a lot and people (including me) with families don't have much choice when it comes to entertainment during travel. I wanted to give families a choice other than using mobile phones and tablets. 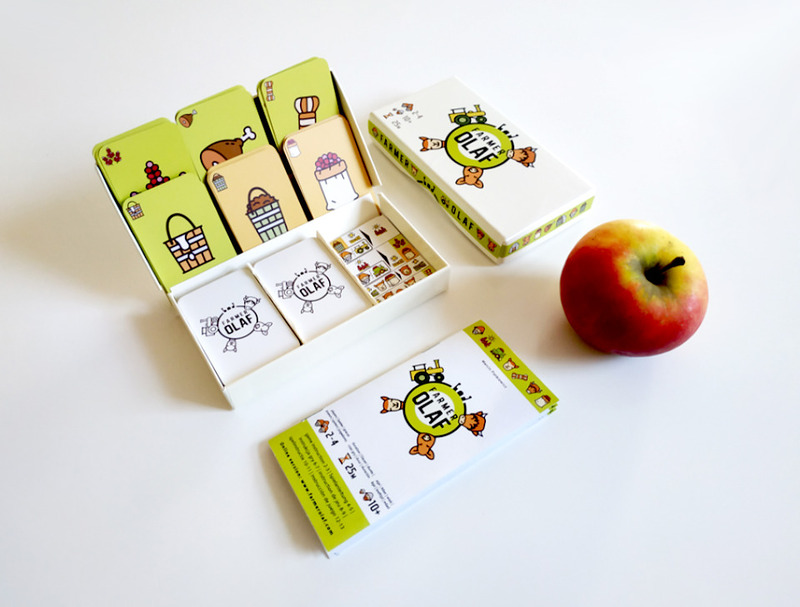 Thus I've designed no.table and mini table boxes that allow Farmer Olaf to be played without a table. Gameplay wise it's good for almost all ages when playing with adult(s). The game has many educational values as well (read below). It encourages cooperation, being pro-active and social while teaching how to negotiate and being assertive. If you have more questions and want to contact me see the bottom of the page. 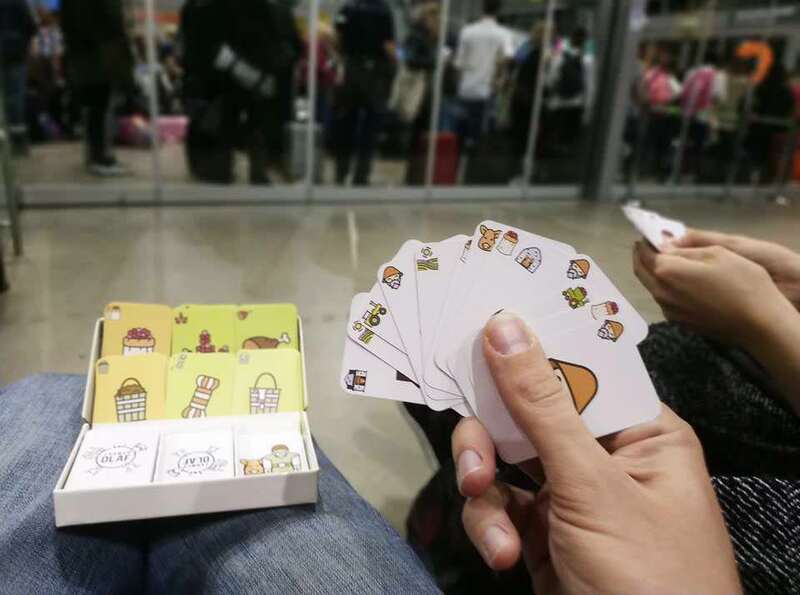 Farmer Olaf is a no.table family card game. 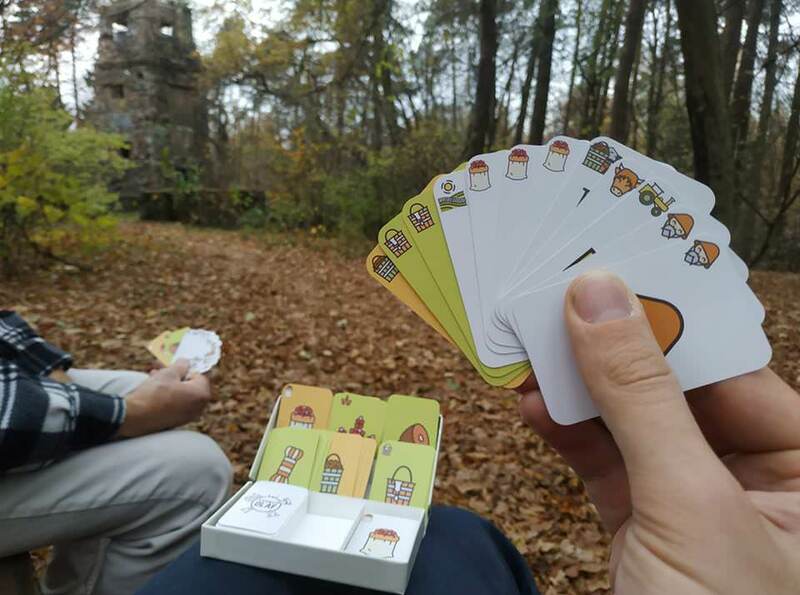 This means it can be played almost anywhere, even when there is no place to place the cards. The box holds all cards inside, including discarded ones. Players can hold all their cards in hand if needed. This means that even when if there's no table nor suitable surface around one can still play the game. The mini box is extremely light and small, it fits into places where you usually store your mobile phone. It's a clamshell type of box that holds all stacks of cards securely while allowing easy access take and discard them. Even instruction can be stowed beneath cards' separator if not needed. 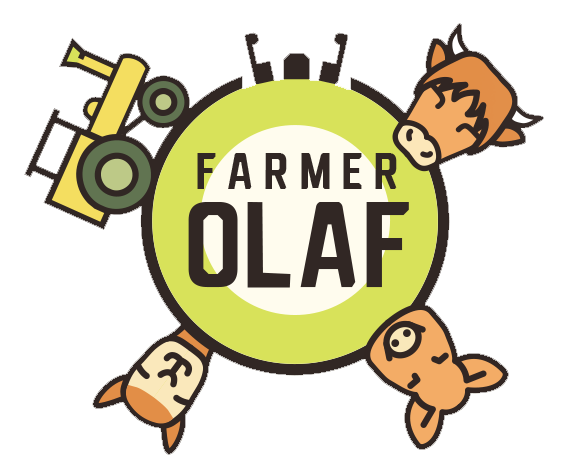 Farmer Olaf is a cooperative and competitive game at the same time. This means that in order to have higher chances of winning you will have to engage in trading with others and help them at the same time. The game actively encourages players to share / trade or borrow resources; without interaction there is a high chance you might get stuck. Farmer Olaf is a nice way to teach players soft skills such as negotiations, being assertive or being pro-active. IT's a great tool to train a business creativity as well as economic theories such as comparative advantage, technology advantage, leasing, asset productivity, lean logistics etc. The aim of the game is to produce the most goods from the farm. Every turn each player gets one new card and when they have enough resources they can perform one of agricultural actions. This leads to obtaining green cards with products of the farm which are worth points. The player with most points wins. Please see Game rules and How to play for more information. Four dwarven children were strolling slowly along an alpaca caravan loaded with supplies. They travelled for the first time through the Three Passes Upland. At this altitude there weren't any trees or vegetation except short light brown grass that spread to the horizon marked by mountains. At the other end of a long plateau one coould see a weak contour of the wind tower - the place, where Olaf's farm was situated. - Surely we will be bored as yaks in the bald meadow... - said boringly the youngest sister - I still cant't understand why we go there. - Haven't you heard? Our grandfather and aunt need help with their farm after an earthquake. Buildings and fences are destroyed, alpacas and yaks have fled to nearby mountains and there are still some hungry wolves roaming around - said Wein. - And then our parents think that this is a good school of life for us - added older brother Kirli. - Besides, there is another thing that is much more interesting... - Wein continued. - Arar's treasure? - the girl asked with renewed interest. - Maybe. Olaf promised an award for the one that helps him the most. You and other players are dwarven grandchildren of Farmer Olaf. He needs your help with reconstructing his farm after an earthquake. He encourages you to cooperate if this helps you producing more goods. The one with most points at the end of a game will become a trustee of Olaf and will get to know a secret of the Valley of Three Passes and fallen Arar city. You need to find lost animals, rebuild buildings and repair walls and fences to protect animals from wolves. You can ask for help of nearby living dwarf miners (workers) or use gnome steam machines if you manage to repair them. Unfortunately they tend to broke down constantly. Sometimes a wandering trader will visit your farm, this would be an occassion to trade animals you don't want for new resources.